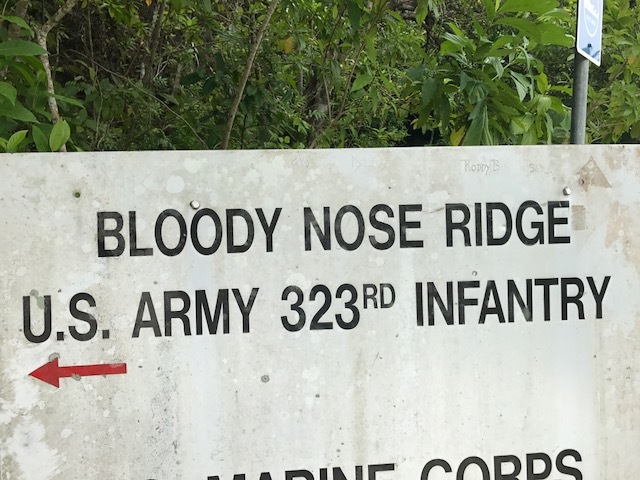 I am in the small Republic of Palau, which was founded in 1994. The capital is Melekeok. 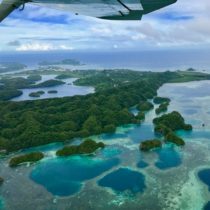 About 21,000 people live in Palau. The climate is hot and rainy, though there is still a lot of sunshine. The main religions are Roman Catholicism and traditional worship of nature and ancestry. 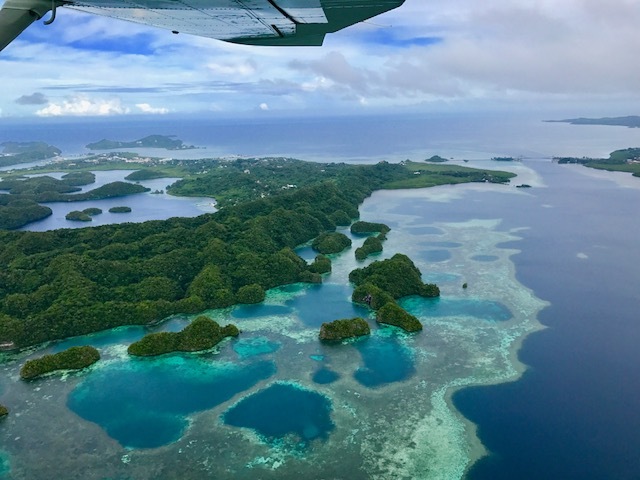 Palau’s main source of income comes from tourism and fishing exports. It is 13 hours ahead of EST time. 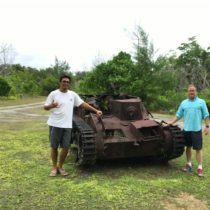 Palau's forests and waters have WWII relics scattered throughout. History lovers and divers with a passion for discovery can find fascinating shipwrecks in Palau. I am visiting Koror, the main commercial center in Palau. Here is where tourists can find local eateries, scuba diving shops, hotels, bars, cafés, and resorts all around. An especially fun attraction found here is Dolphins Pacific, the largest dolphin research facility in the world where you can even swim with trained dolphins! Also unusual is that the Koror Jail is a popular tourist activity due to the wooden storyboards created at the facility and sold in a shop on the jail grounds. 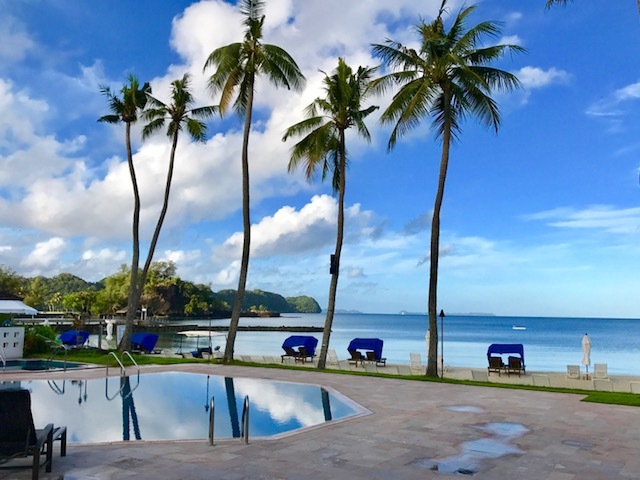 Hotel(s) I Chose: I chose the Palau Pacific Resort (PPR) and that was a wise choice because if clearly was the nicest in Palau. I loved my time in Palau! This country is a gem and if you can make it here you’ll see why. No glitz, no glamor, just pure beauty combined with 5-star luxury service. You see, they don’t teach their people to be nice on this island, they just are nice. 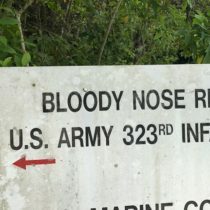 While I missed an entire day because of a late United Airlines connection in Guam, I made the most of my time in Palau. 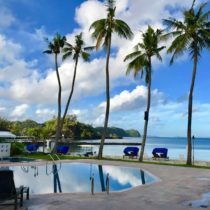 Let’s start with the hotel: I chose the Palau Pacific Resort (PPR) and that was a wise choice because it clearly was the nicest in Palau. I opted to upgrade from garden to oceanfront, and it was worth it. Although the rooms were a bit dated (not old, just 90s woodsy) they were very nice, and the views, grounds, restaurants, and beach were all top-notch, making this a 5-star. 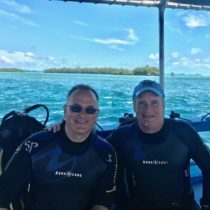 I used the resorts “splash” dive center, to do a two-tank dive, and they were fantastic. 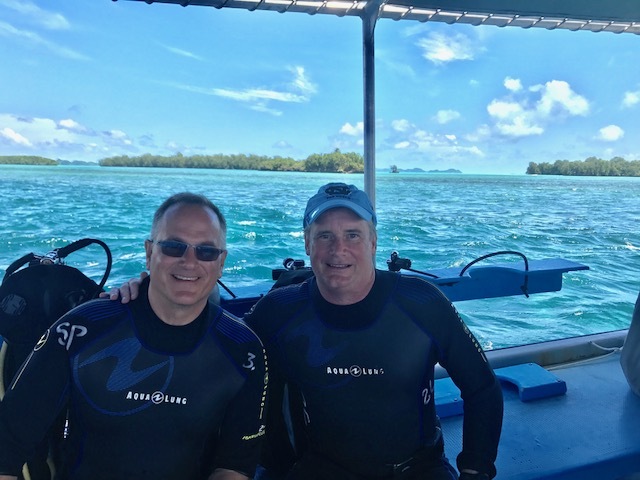 We dove Palau’s most legendary dives, the German Channel and Blue Corner, and they didn’t disappoint. T he mantas were feeding at German, and a dozen or so sharks were on the prowl at Blue Corner. The following day I flew on a Cessna to Peleliu Island, which was an important battle for the US, while advancing toward the Japanese mainland. 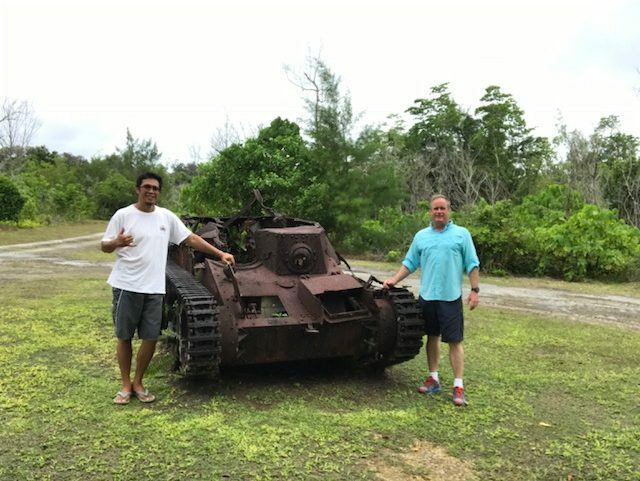 My guide Des was fantastic, and not only showed me all of the island’s historic battle sites but also how local Palauans live. Overall, a wonderful stay in one of the favorite countries I’ve visited to date. Definitely the jewel of the north Pacific Islands.